There will be a day, many years from now, when you will look at the pictures you took today, and you will be so proud of yourself. It takes strength and courage to fight cancer. Chemotherapy is difficult, but there is light at the end of the tunnel. Life comes back; you are going to be even stronger, and more beautiful than ever. (You are beautiful now, but at the moment you are not able to see it) My wish is for you to stay focussed on your total recovery. Been there, done that 15 years ago. Chemo, radiations, etc. I am considered to be cancer free now, though at the time I was diagnosed it has metastasized in the lymph nodes. Get well young lady, and have a wonderful life. Stephanie, every single day, when you wake up, whether you get out of bed or not, or whether you look in the mirror or not, one thing is happening regardless. You are moving one day closer to being cancer free. When the ‘big picture’ is so daunting and maddeningly vague, it’s easy to get bogged down in the minor details, like your hair, blotches on your skin or a lack of energy, but its important to take the time and realize *why* these things are happening. It’s because your body, mind and soul are all using all of their resources to wage a battle. In the middle of the battle, no doubt, there are many long nights and some frustrating days, but each time the sun sets, you are one day closer to the end of the battle and one day closer to being cancer free. You WILL get your life back, just keep believing it Steph. From one survivor to another. I know exactky what you’re going through. 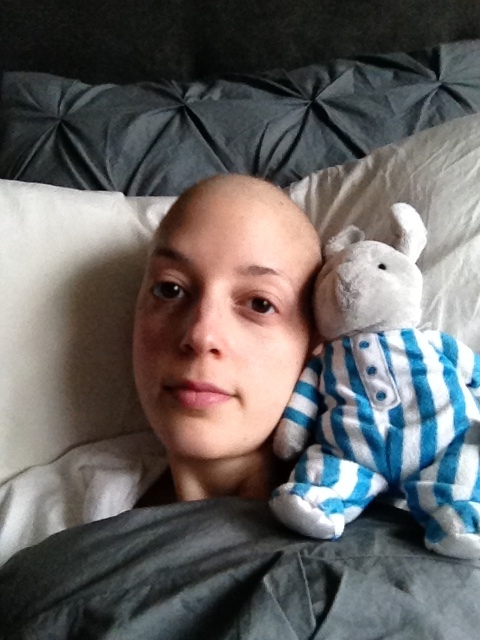 Two years ago I was in your position, full of chemo, no hair, no eyebrows, weak. Once you finish the chemo you’re going to be moving forward. Onward and upward. Keep believing it. Much love and support. Stephanie, Your sweet and vivacious spirit has gone through a long night, and yet still, a little more, but the daylight increases, and that light will soon envelop you with hope and warmth as Spring makes it gradual entrance, and you will come back stronger and more like yourself than ever. Stay beautiful, stay strong. What’s amazing is that you say you feel at an all-time low, but your writing is just as full of life as ever, which means you are. Sending get well wishes. Dont despair. Keep fighting. I think you look pretty good considering what you are going through. Oh to be 28. You are strong, your family is supportive and you are going to beat this. Hi Steph, I’m a Facebook friend of your cousin, Debbie. I just had my own brush with breast cancer, though it was nothing compared to what you are going through. Having been through chemo (though very mild and short-term) for another cancer-related illness and, more recently, radiation, I know how exhausted you must be. But it sounds like you are a fighter, so hang in there, my Warrior Sister. I’m rooting for you, and I know many others are too. 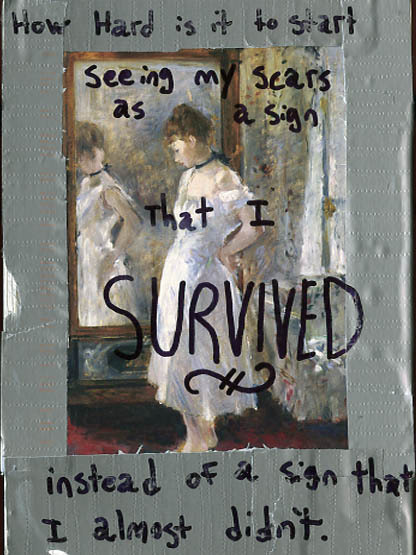 Courage and endurance have their own beauty, and bald and exhausted though you are, you are still beautiful. Steph, you truly are a beautifulAnd talented woman. And although I only met you briefly you showed yourself to be very strong and confident. I have no doubt those two characteristics will help you through this challenge. And I have to agree with a few of the others that have posted…you are simply breathtaking. I’m sure you don’t feel that way, but know the rest of us ( those who know you well and those who don’t) see a strength and beauty that you “think” is gone but isn’t. You’re hair will grow back, the redness in your cheeks will dissappear and although some scars may remain you will no longer be a cancer patient but a survivor. I always feel weird about posting a reply. We don’t know eachother and obviously have never met, but through your beautiful and talented writing I feel I know part of you. You are beautiful inside and out and have an army of people cheering you on every step of the way. I’m a friend your cousin Matt and saw this on his Facebook page. I wanted you to know, that when I scrolled down and saw the picture of you with your bunny I thought you were absolutely beautiful. And then I read the rest of your post and knew that you were absolutely beautiful. Fight for as long as you can fight and then try to fight a little more. I keep you in my thoughts and heart, and send you lots of love and hugs. We’re all in your corner, Steph. Fighting along side you, anyway we can. You’ll always be a beauty, inside and out…anyone who disagrees, has to get by me first!! It’s friends like this that stand by your side through it all, that get you to where you’re supposed to be. One more chemo to go, and your hair WILL grow back, and it will be beautiful, just like you. Better days ahead! love your Moms comment….so TRUE. You are a champion fighter. You are a beautiful cancer patient. I can’t wait to see the photographs as your hair comes back. Love to you all…..the crazy RI cousin. I totally understand how you’re feeling. It’s a long road. But also remember that our family doesn’t know about giving in or giving up. You come from a very long line of fighters. I’ll buy you your own set of boxing gloves and you can show cancer who’s in charge.